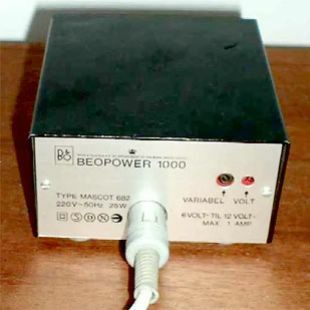 Beopower 600 was a mains adaptor which was able to run Bang & Olufsen products such as Beolit 400 and Beolit 600 which required just 7,5V. This saved the products' batteries and therefore lessened running costs. Beolit 500 and 700 had built-in power units so Beopower was not required. 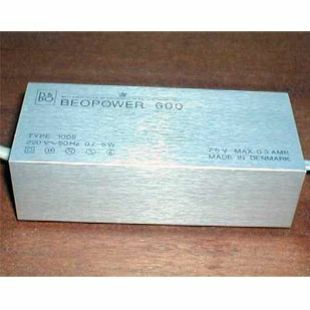 Beopower 1000 was designed specifically for Beolit 1000. Output current Max 10 watts at 7,5 vols. Short-circuit proof.